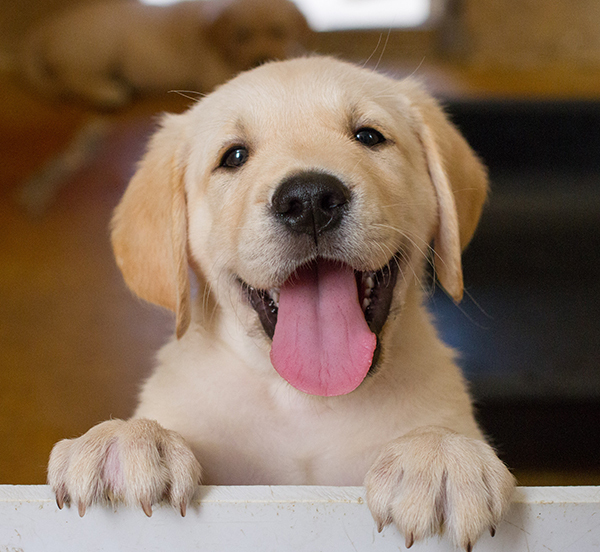 Each year, more than 400 puppies join the programs of America's VetDogs and the Guide Dog Foundation. Their ultimate goal? To serve individuals across our country who have visual, hearing, emotional, or other physical disabilities. Working side by side with their handlers, our guide and service dogs provide enhanced mobility, a renewed sense of pride and self-reliance, and make ordinary moments extraordinary. However, no great puppy ever became a great assistance dog without having an equally great name. And that’s where you come in. You have the opportunity to give a puppy its special name for life: honor a loved one or beloved pet, or name the puppy after your business, organization, or school. The Guide Dog Foundation and America’s VetDogs is once again partnering with NBC’s TODAY morning show to raise five puppies on air at local NBC stations in New York, Los Angeles, Baltimore, Boston, and Atlanta. Known collectively as the Class of 2019, Sunny, Zuma, Camden, Brady, and Izzy are already showing the world all the fun, training, and hard work that goes into becoming a certified assistance dog. The puppy you name can join the Class of 2019! If you have any questions or would like further information about this special promotion, please reach out to Donna DeSivo at 631-930-9037 or at Donna@VetDogs.org. Thank you for helping the veterans we serve live without boundaries!